This winter has been a doozy. There has been a lot of wailing and gnashing of teeth praying for peace and creativity on the home front. The amount of school cancellations has been unprecedented, and I think the winter of 2014 will go down in history as one of the most glorious in the eyes of the boys. The trouble with unexpected days off though, is the fire drill of re-shuffling schedules as well as being cooped up for what feels like ad infinitum. This is when our local library, once again becomes our beacon of hope. I’ve recently gotten into the routine of going to the library once a week. It has turned into one of the greatest highlights of my week. We recently discovered a few wonderful gems in the children’s department. I usually post summer reading videos, but thought I would post a little wintertime book haul, just in case anyone else is in need of a few sanity saving selections too! 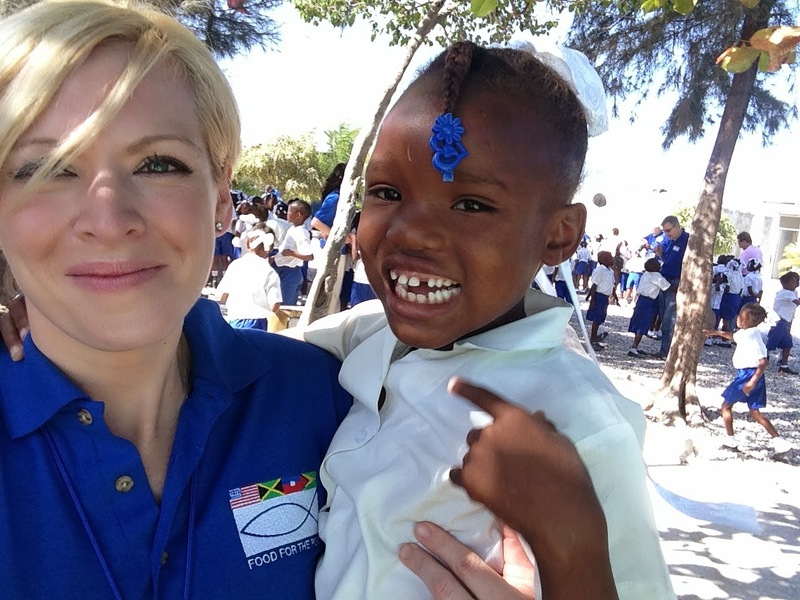 I also wanted to share an update on Francois, the little boy I met in Haiti. Precious, sweet one! I just want to reach through the photo and hold him again. All he wanted was to have warm arms around him, and his body was completely calm and content shortly after this photo was taken. Please keep Francois in your prayers. You can also donate and help by visiting the Food for the Poor website. awesome and wonderful is your white extravagance. piling high on the windows of our spirits. Praise streaks the landscape into white and gray grace. All the earth proclaims the greatness of God! and never forget to keep us warm and safe in the shelter-fire of Love Incarnate. Winter song fills our hearts. Happy February! My oh my, 2014 is moving right along! 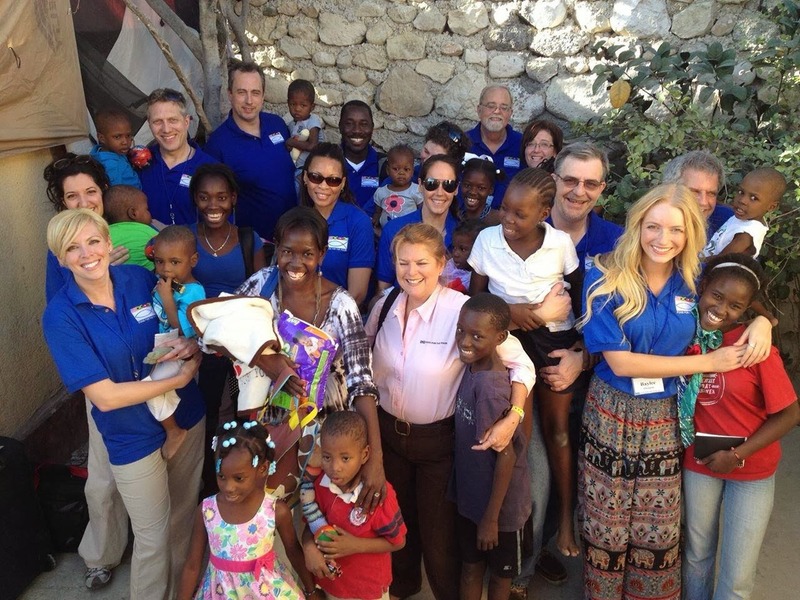 This is shaping up to be another busy year, and it really felt like it kicked off last week when I traveled with Food for the Poor to Haiti. You may remember last year we traveled to Guatemala around the same time. The experience was life-transforming then, so I am not surprised it happened again. I was greatly blessed by the companionship of my friend Andrea and a wonderful group of radio comrades from across the country. There are so many feelings and experiences that occurred in the few days that we were there, that I’m not even sure where to start. To witness humanity in such a raw form. Stripped away of all THINGS (possessions, necessities, privacy..) was profound. There were extreme moments of joy. Beautiful children singing dancing, and giving thanks to God. Extreme moments of anguish. 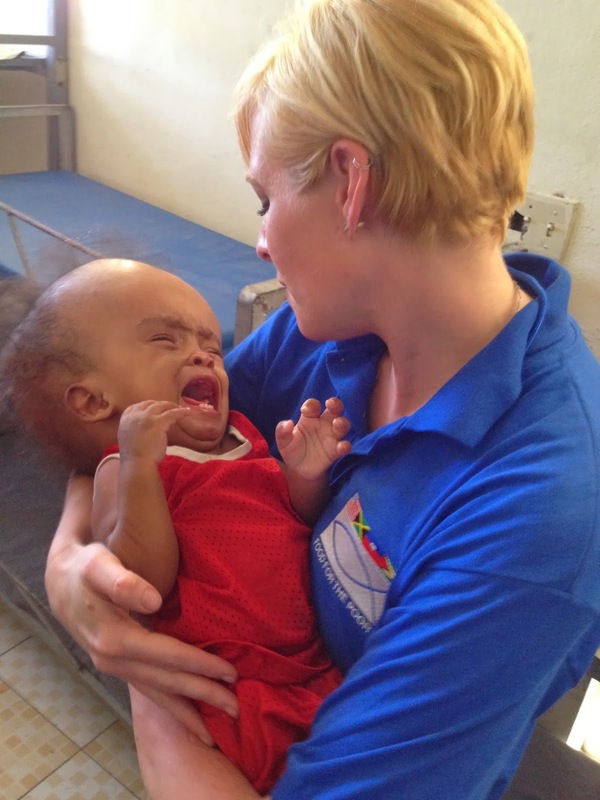 A baby, orphaned and abandoned and in pain from the water on his brain caused by hydrocephalus and his heartbreaking suffering. There were moments of hope: meeting a family who received a new house from Food from the Poor to see even their posture and countenance be endowed with a dignity that was very obvious and beautiful. 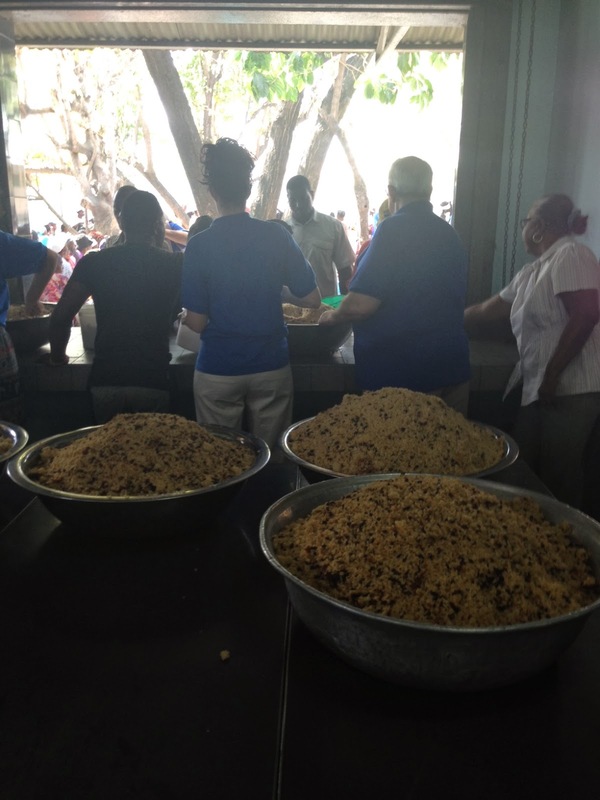 We helped feed just a small portion of the 15,000 people who come to the Food for the Poor feeding center every day in Port-Au-Prince to receive lifesaving nourishment. You can always donate, and find out more about Food for the Poor by visiting their website too. Our Cannon camera broke the night before the trip (ahem…I’ll give you two toddler-sized guesses how that happened)! Lol. So I was disappointed I wouldn’t be able to do justice to the experience without good images, but the kids shined bright, it didn’t matter. 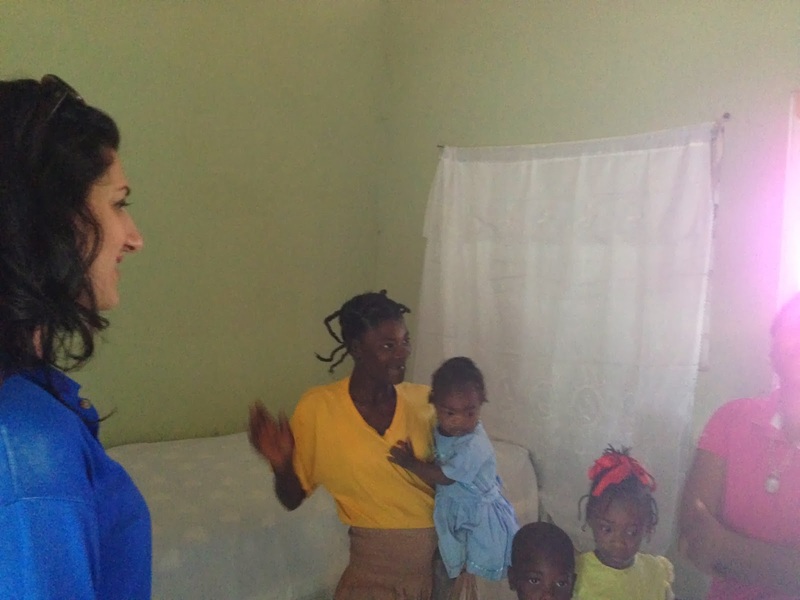 I always seem to regret not taking more more videos and pictures, and I’m already feeling that about Haiti. I just pray the Lord will preserve my memory and prepare my words to adequately be their voice. And what a beautiful voice Mother Haiti has! Subscribe to Good Things Radio Podcast! Here. 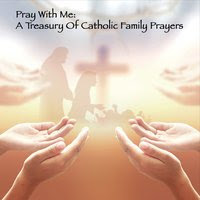 On iTunes Here. On Android Here. Help Support the show by becoming a Patron: Become a Patron!